Patti Smith, not the rumored Eagles of Death Metal, was the surprise guest joining the band U2 on stage Sunday at the AccorHotels Arena in Paris, in a makeup concert following one postponed from the day after last month’s terror attacks. Eagles of Death Metal had been playing Paris’ Bataclan theater the night terrorists held it under siege. The Italian news agency ANSA had reported on Dec. 1 that legendary punk-poet Smith would be U2’s guest at Sunday’s show, but this was not widely picked up by American media. She had performed two songs with U2 at the band’s London O2 Arena concert on Oct. 29, reprising one of them, her 1988 “People Have the Power,” at the end of Sunday’s show, according to Diffuser.fm and fan videos posted after the concert. On Friday, Billboard cited an anonymous source claiming the California-based Eagles of Death Metal would perform at one of U2’s two concerts at the 20,300-seat AccorHotels Arena. 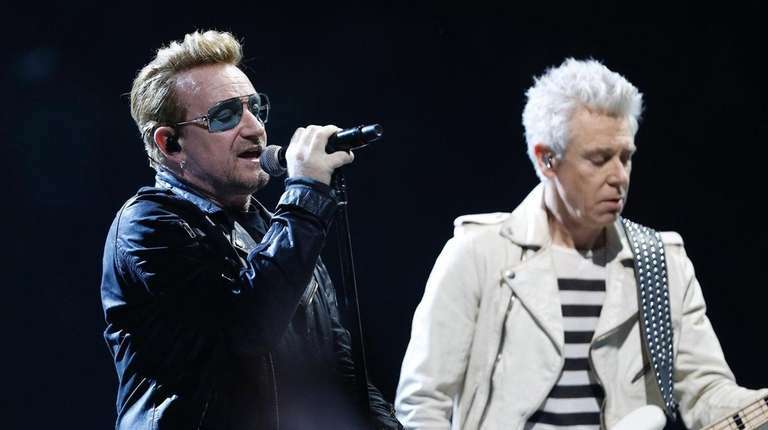 U2 is scheduled to play again Monday night and HBO will broadcast the recorded concert at 9 p.m. A representative for Eagles of Death Metal told the magazine the band had no comment on the report, and the group has not posted on its Facebook page since Nov. 25.